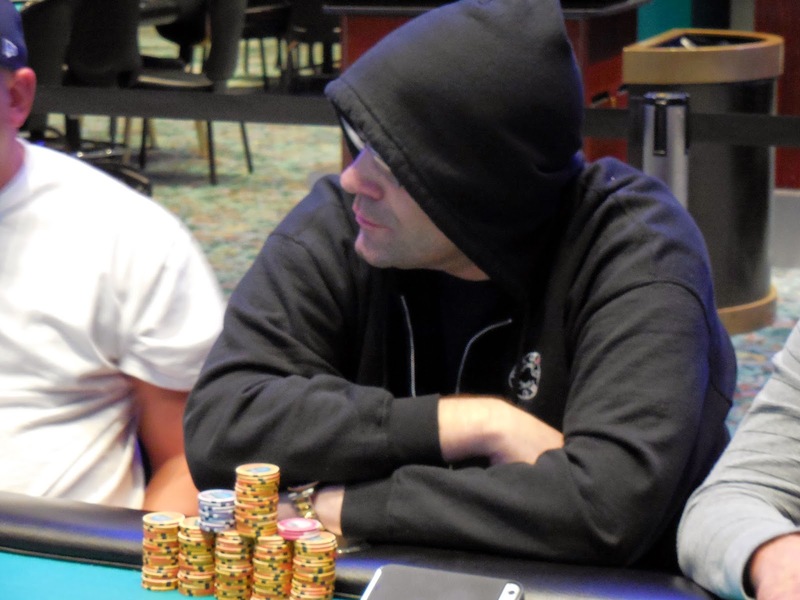 Douglas Gass was all in preflop holding Q-J and was dominated by his opponent's A-Q. The board ran out Q-2-3-T-A to eliminate Douglas in 6th place. He will collect $2,276 for his efforts. Jim Rossi got the last of his chips in holding [Kh][Jh] and was dominated by his opponent's [As][Ks]. 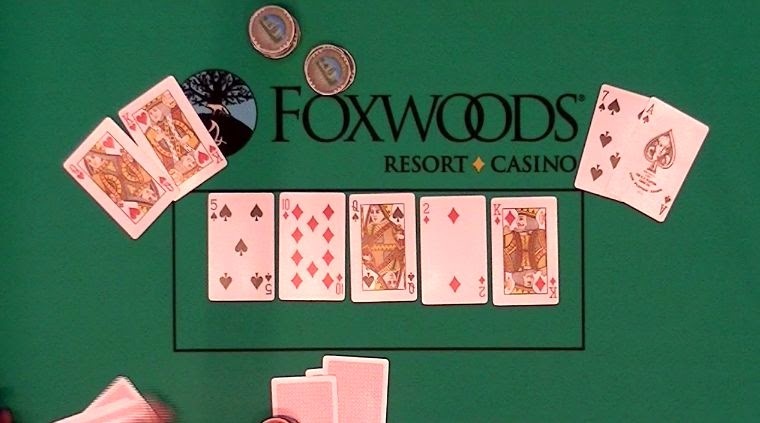 It got even worse for Jim as his opponent flopped a flush, leaving Jim drawing dead. 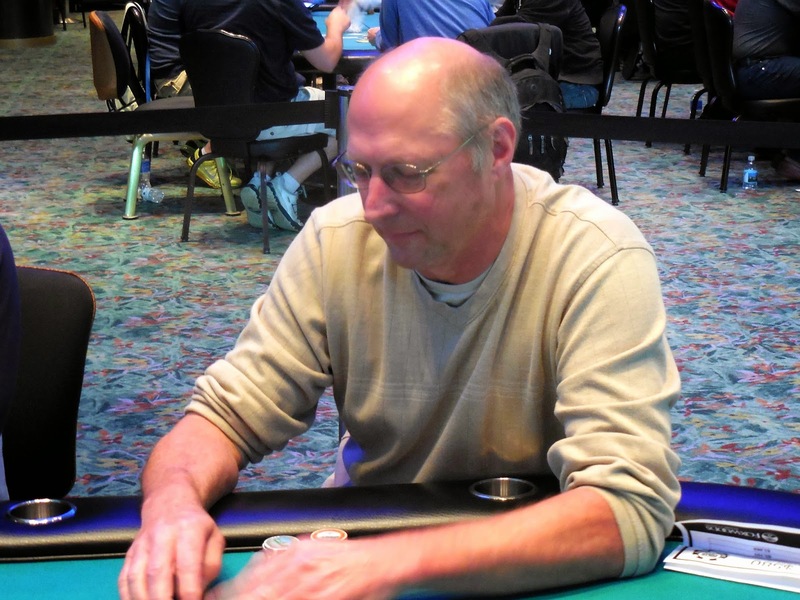 Jim will exit this tournament in 10th place, good for $893. 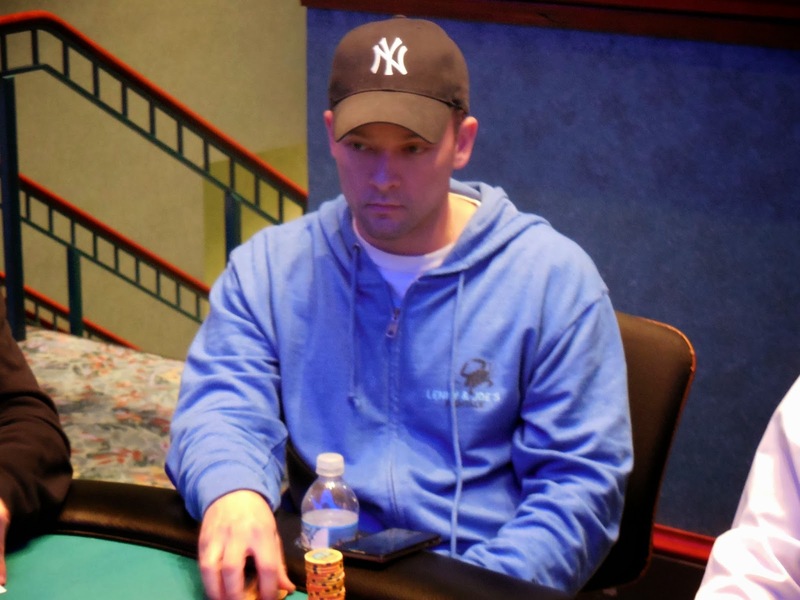 A player was eliminated in 16th place, and the remaining 15 players in Event #9 $365 NLH are now in the money. The field will play seven more levels today, so a final table should be reached within the next few hours. Valentin Vornicu has eliminated yet another opponent. This time, Solang Ung took his ace-ten up against Valentin's jack-ten. 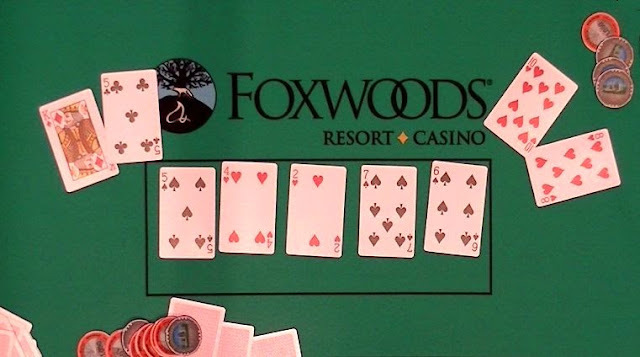 It seems to be Valentin's day as he flopped trip jacks, and rivered a flush for good measure. 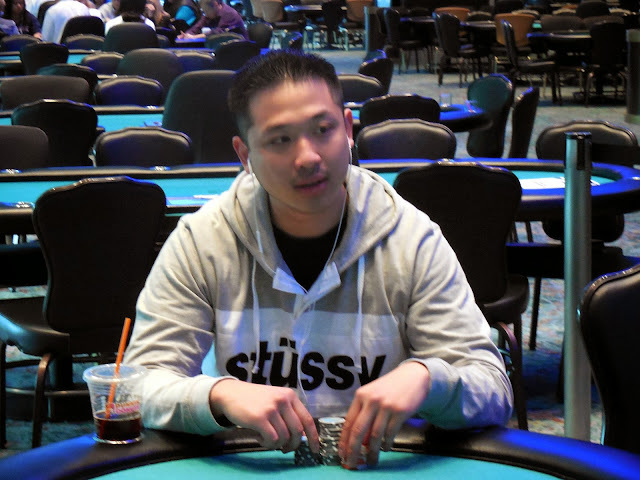 Solang will collect $9,329 for his 3rd place finish here today. 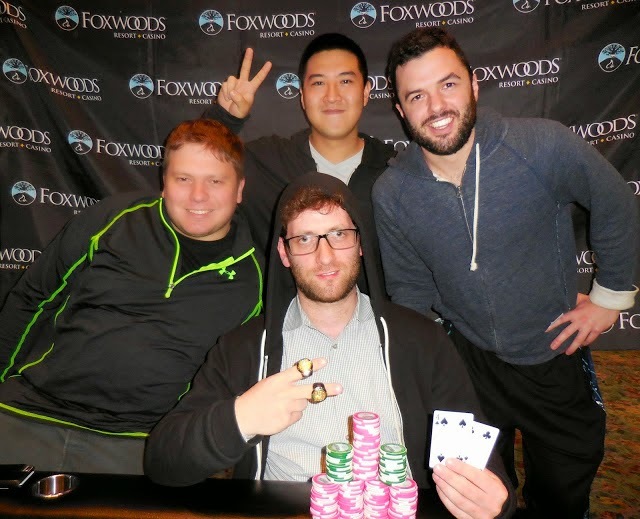 Valentin Vornicu moved all in from the button and Donnell Dais called all in for less from the big blind. Donnell was ahead with his [As][7s] against Valentin's [Kh][Qh], but the [5s][Td][Qs] gave Valentin top pair. Donnell picked up a flush draw, or could catch an ace to survive. The [2d] turn changed nothing, and the [Kd] meant Valentin would win that pot and eliminate his opponent. 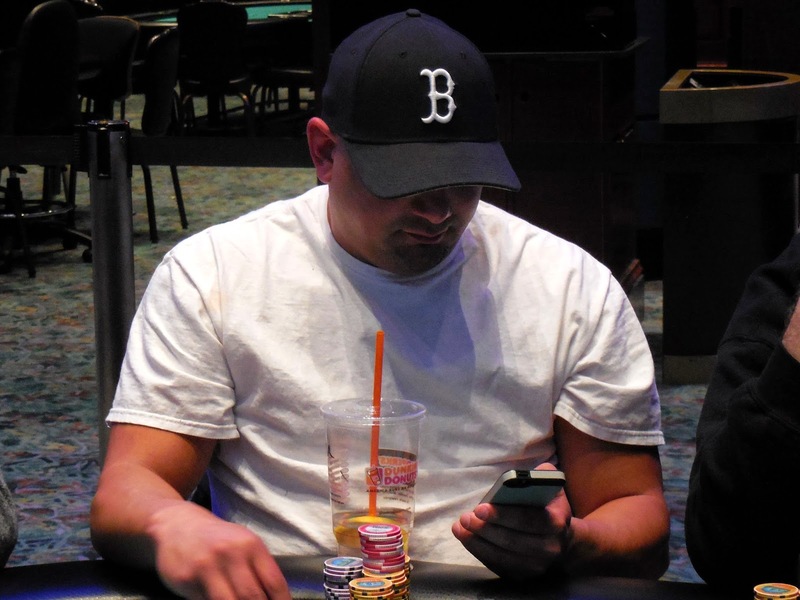 Donnell would be eliminated in 4th place, good for $6,836. 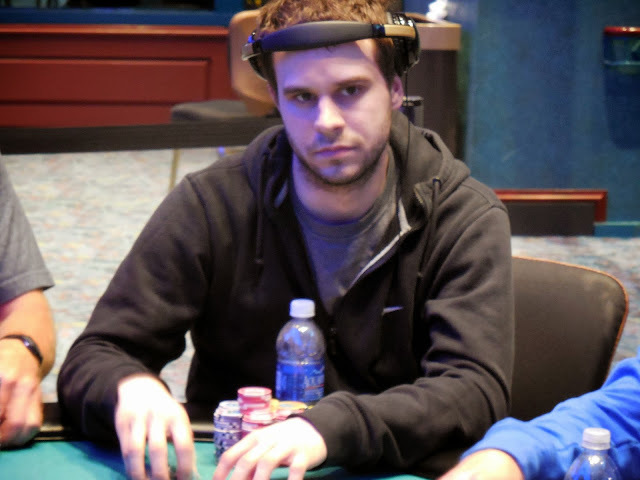 Mark Devlin was all in holding [Ah][3d] and was up against the [Qs][6h] of Valentin Vornicu. The flop fell [8c][5s][3c], keeping Mark in front, but the [Qd] turn changed everything. Mark would need an ace or a three on the river to survive, but the [9h] hit the river instead. 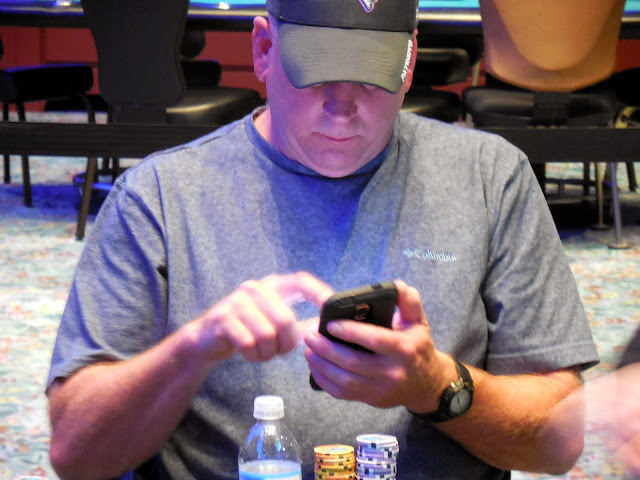 Mark will exit this tournament in 5th place, good for $5,103. With the big blind away from the table, Soukha Kachittavong moved all in and Valentin Vornicu made the call. Soukha's pocket deuces were behind Valentin's pocket sixes, and Soukha failed to find a deuce to survive. He will exit the tournament in 6th place, good for $3,869. Registration will remain open through the end of the 6th level (approximately 2:10pm). Levels 1-12 will be 30 minutes. Remaining levels on Day 1 will be 40 minutes. Day 2 levels will be 50 & 60 minutes. There will be a 1 hour dinner break after Level 12 (approximately 5:20pm). The day will conclude after Level 21 (approximately 12:40am). Registration will remain open through the end of the 4th level (approximately 3:10pm). Levels will be 30 minutes. There will be a 1 hour dinner break after Level 16 (approximately 9:30pm). 6 players remain, Valentin Vornicu leads with 711,000. Levels will be 50 minutes for 4 levels. Remaining levels will be 60 minutes. Play will resume at Level 22 (6,000/12,000 blinds with a 2,000 ante). Players start with 12,000 in non-value tournament chips. Registration & Re-entries will be available through the end of the 6th level (approximately 4:00pm). Lee Hirsch raised preflop and Valentin Vornicu and another player made the call. 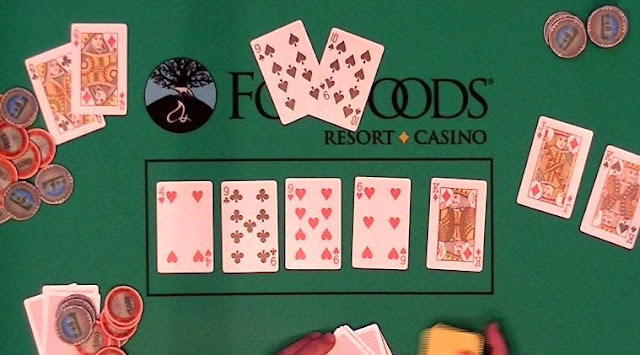 Maria Kalantzi called all in for less. The flop fell [4h][9c][9h] and Lee check raised all in. Valentin made the call, and the other live player got out of the way. Valentine had flopped trip nines and would knock out two opponents if he could avoid a queen or runnings king or jacks. 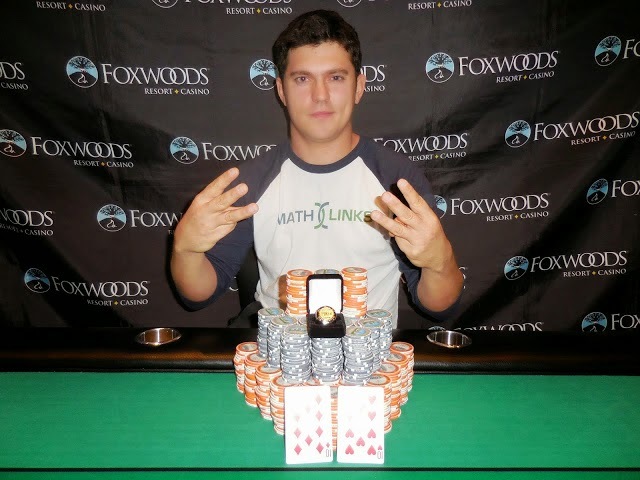 The turn [6h] changed nothing, and the [Kd] river meant Valentin would win the pot. Maria started the hand with less chips, so she will exit the tournament in 8th place for $2,346, while Lee will take 7th place for $2,990. Beata Wielgoszewski was all in preflop holding [8s][8h] and was racing against Soukha Kachittavong's [Js][9s]. The [Qd][7h][Td] flop gave Soukha an opened ended straight draw to go along with his two overcards, and the [9d] gave Soukha a pair of nines. Beata would need to catch a jack to survive, but the [9h] hit the river instead to give Soukha trip nines. Beata will exit this tournament in 9th place, good for $1,879. Paul Giliberto moved all in after Valentin Vornicu raised, and Valentin made the call. Paul was slightly ahead with his [Kd][5c] against Valentin's [Th][8h], but the [5s][4h][2h] flop made Valentin the favorite. The [7s] gave Valentin additional outs to make a straight, and the [6s] filled that draw. Paul will exit this tournament in 10th place, good for $1,514.